If you’re a collector of rare and unique Disney memorabilia or even if you just want to see some pretty amazing stuff, November is the perfect month for you. There are two auctions scheduled for later this month that you really need to check out. On November 21, Van Eaton Galleries in Sherman Oaks, California, is auctioning off a massive assortment of Disneyland items, some dating back to the park’s opening in 1955. This is the second time this year that Van Eaton Galleries has had a Disneyland auction of this magnitude. 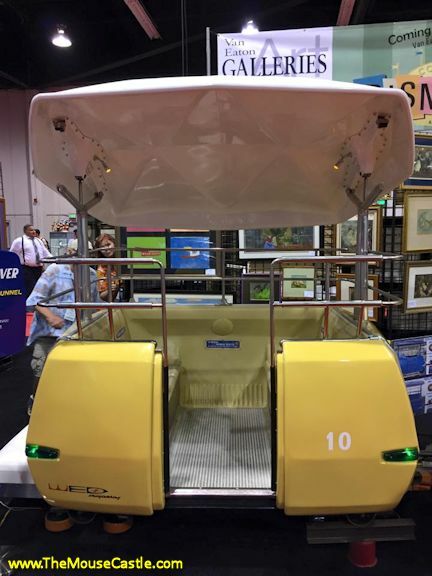 Looking for a Space Mountain ride vehicle? They’ve got one. 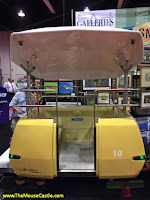 A Skyway bucket? Yep. How about a PeopleMover car? I might fight you for that one. This auction isn’t just big-ticket items either. There are plenty of more affordable things like Disneyland brochures, menus, ticket media, park guides and maps to satisfy any collector’s curiosity. All told, there are over 800 items in the collection. Treasures from the Dream Factory auction. Also this month on November 23, the auction house Bonhams is partnering with Turner Classic Movies to present Treasures from the Dream Factory. It’s a collection of nearly 400 items of movie memorabilia, with some pretty amazing pieces like Judy Garland’s dress from The Wizard of Oz, a replica Rosebud sled from Citizen Kane and an authentic golden ticket from Willy Wonka and the Chocolate Factory. For Disney fans, though, the prize of this collection is an assortment of original signed photos of Walt Disney taken in Europe during his Red Cross service at the end of World War I. 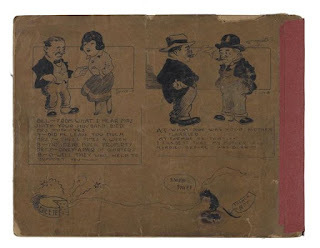 Included among these items is a scrapbook of signed cartoons drawn by Walt around the same time. It’s believed that never before have this many items with this much historical significance in Walt’s early life ever been sold at auction. Not surprisingly, they come with a heavy price tag too. The photos are priced as high as $60,000 each and the scrapbook between $250,000 and $300,000. It will surprise no one if these items end up selling significantly higher. Joining me in the Lounge today, from Bonhams, is Catherine Williamson, director of entertainment memorabilia. Following her we’ll hear from Mike Van Eaton with Van Eaton Galleries. It’s all about history, auctions and vintage Disney collectibles today in The Mouse Castle Lounge.